To start the new year off on the right foot, as we await the Augur recommendations on the post-18 review, Wonkhe have some analysis of a recent poll. “In England, universities can currently charge tuition fees of up to £9,250 a year. Do you think this is or is not value for money? We’ve been over many of the return on investment arguments in our coverage of LEO data and related releases. Suffice it to say that the earnings of those who graduated up to a decade ago are of questionable relevance to those starting their study in 2019. Even if you discount the way that the graduate labour market (and the wider economy) has changed in the past and is likely to change in the future, institutions and courses are almost certainly taught in different ways, by different staff, to students from different backgrounds, than they were a decade ago. We could have guessed most of the above already – it’s why May overruled DfE and called the Post 18 review in the first place. The question is whether the sector has the wherewithal to fill in some of the detail – the absence of which allows sloppy polling to fill in the blanks. There doesn’t appear to be any research that asks whether £9,250 a year for a degree place represents good value for money regardless of the balance of the contribution between student (graduate) and state – surely a missed opportunity for the sector to protect (and justify) the unit of resource? We’re still pretty much in the dark about the true “costs” of HE for most undergrads – rent, food, books and travel. How many students are going to take a positive value for money message into their twenties if they couldn’t afford it in the first place? And as long as we have a repayment system whose subsidies only reveal themselves if you are at the end of your career and economically unsuccessful, we shouldn’t be surprised by a negative reaction to a VFM question. Our view: given these perspectives, and there is no reason to think that the poll is wrong, even if we could argue with the assumptions behind it and the way that the questions are asked, how likely is it that the government will respond to the £12m deficit hit from the accounting changes to student loans (however illusory it is) by saying “oh well, if we’re in for £12m we may as well do the thing properly, and reintroduce maintenance grants, find extra money for FE and adjust the student loan terms further to benefit WP students”. Not very likely? 2019 will be fun…..
Understanding how individual outreach activities combine over time to influence young people and whether their effects are genuinely additive. In addition, the project team identified several potential concerns within the reported evaluation practices, including (a) an over-reliance on descriptive statistics and low use of inferential and/or multivariate analysis (where appropriate), (b) a continuing emphasis on ‘aspiration raising’ as the guiding purpose of outreach activity despite its questionable role in influencing attainment or HE participation, and (c) a conflation of evaluation, monitoring and tracking data, with an unclear engagement with causality. A stronger engagement with the research literature, especially in evidencing the value of forms of activity (e.g. mentoring) and the use of validated and cognitively tested inventories to measure psychological or sociological constructs. The project team recommend that the Office for Students (OfS) should promote the elements discussed in point 5 above to guide the future development of evaluation practice. The team believes that these dovetail well with previous work on standards of evidence (Crawford et al., 2017b) by providing a framework for evaluation practice to achieve stronger forms of evidence. 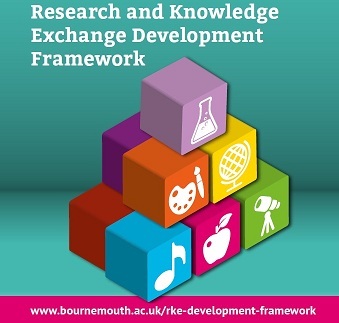 To this end, a separate report for HEPs includes (a) a development tool to suggest incremental improvements to their current practices, and (b) a brief collection of contextualised thinking tools to extend their critical engagement with evidence of impact. An evaluation self-assessment tool has been developed and delivered to the OfS for further development and piloting. These are not intended to form a ‘final word’ in guidance to HEPs, but rather a resource to help to frame the ongoing discussions that the project team have witnessed within the sector. The OfS should continue with the second phase of work as outlined in the original invitation to tender, comprising work to determine which ‘intermediate steps’ are most appropriate for HEPs to use to plan and evaluate pre-16 outreach activities. We recommend that HEPs be encouraged to benchmark their evaluation practices against those of their peers with a similar organisational mission and profile of expenditure on access. A proposal for a self-assessment tool has been put forward to the OfS for further development and piloting. Data on HEPs’ spending on evaluation should be collected, whether or not a minimum expectation is established. The OfS should encourage HEPs to engage with the tools provided in the accompanying document and especially to promote the use of a ‘theory of change’ approach for planning and evaluating pre-16 outreach. The OfS should consider working with an HEP to develop a postgraduate certificate (or similar) in outreach evaluation that becomes an expected standard for staff working in HEP outreach teams. The Government have published their response to the Education Select Committee Inquiry report into the quality of apprenticeships and skills training. The Education Committee’s report made a series of recommendations to boost apprenticeships and deliver high quality skills training, including an expanded role for Ofsted inspections and a training cap on new providers. The report also called for more support for apprentices from disadvantaged backgrounds, through measures such as the creation of bursaries and help with travel costs. Recommendation 1: Government should monitor bodies responsible for quality and ensure they have requisite resources. Response: To reflect the growth in the apprenticeships provider market, we agreed additional funding of £5.4 million for Ofsted to undertake monitoring visits of new apprenticeship training providers within their inspection remit (Levels 2 – 5), within 24 months of the provider’s funding start date. Recommendation 6: The Institute should make the growth of degree apprenticeships a strategic priority. Response: We disagree that the growth of degree apprenticeships should be treated as a strategic priority in isolation. We do not prioritise degree apprenticeships over other apprenticeships because the reforms are employer-led, so the apprenticeships developed are those that employers have said they want. This makes sure that the apprenticeships we offer are responsive to the needs of business. Recommendation 9: The Government should conduct pilots with apprentices and businesses to explore the effect of introducing greater flexibility in the amount of off-the-job training required by each apprenticeship standard. Response: Although some employers would like more flexibility on this, many employers are supportive of the 20 per cent minimum requirement. The 20 per cent minimum requirement is in line with international best practice. Recommendation 10: The transition from apprenticeship frameworks to standards has been mismanaged by successive Governments. Employers have been let down. Response: Standards are being taken up with enthusiasm by employers across a wide range of sectors, and we are already hearing from employers, providers and apprentices how they are creating a real step up in the quality of apprenticeships across the country. Recommendation 12: The Government should increase the top funding band to better match the full cost of delivery for some apprenticeships. It should also double the time employers have to spend their funds to 48 months and allow them to transfer more of these funds to firms in their supply chain. Response: There is little evidence to suggest that the maximum funding limit is restricting starts, and while we currently have no plans to change the limit, we will keep funding bands under review. The Committee will welcome the fact that we have already announced an increase to the level of funds an employer can transfer to organisations including those in their supply chain. Recommendation 15: The Government should tighten the requirements on providers who subcontract their provision. Response: The accountability for outcomes and delivery against the funding contract lies with the main contractor and that is who needs to be held to account. That is why Ofsted cover quality and management of subcontracted provision when they inspect directly funded providers. Response: We believe that the current model of funding for disadvantaged apprentices provides the most effective means to achieve the recruitment of young and disadvantaged people. Recommendation 18: The Government should introduce bursaries for other disadvantaged groups modelled on the care leavers’ bursary. Response: We will keep all aspects of apprenticeship funding policy under review to ensure that those from disadvantaged groups are not deterred from starting an apprenticeship for financial reasons, or because their employer is concerned about the cost. Funding alone cannot tackle the disparities in apprenticeship starts. Recommendation 19: The Government should create a social justice fund, using money from the apprentice levy, to support organisations that help disadvantaged people become apprentices. Response: The apprenticeship levy has been set at a level that raises sufficient funds to support apprenticeship starts; widening its scope would risk our delivery of the target of 3 million high-quality apprenticeship starts. Recommendation 20: The Government should continue to raise the apprentice minimum wage at a rate significantly above inflation. In the long term, it should move towards its abolition. Response: It is important that the level of the apprentice rate, which applies to those aged under 19 or in the first year of their apprenticeship, does not dissuade employers from investing in skills training and realising the benefits of apprenticeships for their businesses. Recommendation 22: The Government should strongly support existing measures to establish a kitemark for good apprentice employers. Response: Work is ongoing to develop a kitemark indicating a signal of quality for apprentice employers. Using existing quality measures and working with stakeholders, criteria will be developed and, if met, employers will be able to showcase the kitemark. Recommendation 23: The Social Mobility Commission should conduct an immediate study into how the benefits system helps or hinders apprentices. The Government should act on its findings. Response: Government would welcome the views of the Social Mobility Commission (SMC) on how we can continue to develop our policy in this area, though any decision on whether to conduct a review remains a joint decision for the Department’s ministers and the Chair of the SMC. Recommendation 24: The Government must stop dragging its feet over apprentice transport costs. It must set out how it plans to reduce apprentice travel costs. Response: The Departments for Transport and Education will continue to work together to support discounted travel for apprentices, including through existing apprenticeship funding mechanisms, but given the additional cost to the taxpayer, the focus of this work will now turn to preparing proposals for consideration at the forthcoming spending review. Recommendation 25: The Equality and Human Rights Commission should conduct a monitoring review of apprenticeship participation by gender, ethnicity and by people with learning difficulties and/or disabilities every three years. Response: The Department is carrying out broader activity to encourage more young people to recognise the value of a STEM career path. To support the Government’s commitment to increase apprenticeship starts by learners from BAME backgrounds by 20 per cent by 2020, we launched the ‘5 Cities Diversity Hubs’ project in February 2018. Recommendation 26: The Government should introduce a proper UCAS-style portal for technical education to simplify the application process and encourage progression to further training at higher levels. Response: We have carried out extensive research to explore how we could introduce a UCAS-style portal for technical education that works for employers and apprentices alike. While the research indicated that young people would value a central source of information as they make decisions about their next steps, it did not show that they found the current application process challenging. Recommendation 27: Too many students are still not receiving independent and impartial careers advice and guidance about the routes open to them, including apprenticeships. We recommend that the Government, with Ofsted’s support, properly enforces the Baker clause. Response: Following the introduction of the clause in January 2018, we issued statutory guidance to schools, clearly setting out what is expected of them. A review in the summer of 2018 showed mixed compliance with this guidance by schools. The Department is prepared to intervene in cases of serious non-compliance. While we welcome the direction of travel from the Government, clearly much more needs to be done. We need to get tough on subcontractors and poor provision. The Government insists its priorities are to ensure more funding makes it to the front line and to improve transparency. But to achieve this, they must strengthen the rules on subcontracting and ensure a more prominent role for Ofsted in inspections to safeguard training quality. We’re not convinced that the Government recognises that degree apprenticeships are special and different to other apprenticeships. They bring together technical and higher education when the two are too often entirely different worlds. We cannot rely on employers alone to drive this forward given the key role which degree apprenticeships can play in fighting social injustice and taking the best from technical and academic education. Ensuring proper support for apprentices is crucial to delivering social justice. But there are no firm proposals from Government on how to break down the barriers faced by too many young people who would like to take the apprenticeship route. The Government continues to drag its feet on how it will reduce the cost of transport and it must now act on its manifesto commitment and deliver on the promise of significantly discounted bus and train fares. It is not enough to say evading paying the apprenticeship minimum wage is ‘unacceptable’. The Business Secretary has said that the Government has doubled the enforcement budget, but clearly there is more to do to ensure employers comply. Until there are stronger sanctions and tougher enforcement, companies will get away with the mistreatment of apprentices who are making significant financial sacrifices to better themselves. The next few weeks are critical, of course, with a “meaningful vote” in Parliament due in the week commencing 14th January. As a refresher, thanks again to the BBC for a “simple guide” to what happens next. And to what happens if MPs reject the deal in mid-January. So if the government wins the meaningful vote, and Parliament approves the Withdrawal Agreement Bill before 29th March, we leave with a deal and a transition period. If the government wins the meaningful vote and Parliament doesn’t approve the Bill then we leave without a deal. This is possible but unlikely – although there will be a fight about the Bill, and attempts to amend it, if the government wins the meaningful vote they are likely to get the Bill through eventually. If the government loses the meaningful vote, then they have to make a statement about their intentions within 21 days and then there is another vote by Parliament. What could the government propose in this statement? It is another opportunity to persuade people to support the original deal with some more concessions or reassurance. Or this could be the moment to ask for an extension to article 50. If the motion (whatever it says) is not supported, it is then too late for any other major step (such as a second referendum) before we leave without a deal in March. Everyone has said that the EU takes negotiations to the wire – there may be last minute concessions after the meaningful vote, if the government loses, in which case the government can just try Parliament again. Or even without EU concessions, as no-deal panic rises, they may try Parliament again. Or Parliament could revoke Article 50, as was discussed extensively before the holidays. That seems unlikely – an extension is far more likely. And presumably the EU would agree to that. But remember that the withdrawal date is built into UK law so as well as agreeing to an extension, Parliament would also have to approve regulations to amend that legislation – another opportunity for arguments, amendments and disagreements. (3)Subsection (4) applies if the day or time on or at which the Treaties are to cease to apply to the United Kingdom in accordance with Article 50(3) of the Treaty on European Union is different from that specified in the definition of “exit day” in subsection (1). (b)amend subsection (2) in consequence of any such amendment. Labour have been threatening a no confidence motion “when the time is right”. Before Christmas there was talk of a no confidence vote in the PM – which is not at all the same thing. In the Independent on 28th December 2018 Jeremy Corbyn was talking about “when, not if” and “signalling” it will be after the meaningful vote. The Labour party believe that they could form a minority government, and presumably would then hope to persuade Parliament to vote for an extension to give them time to renegotiate. As we wrote in December, if they fail to form a minority government, we are then in a difficult position, because we could be left with no Parliament to vote for an extension or approve the regulations to the Withdrawal Act, leading back to a no-deal Brexit on 29th March with a general election to follow. Of course at least some of those potentially voting for the no confidence motion might actually want to leave with no deal…. So, we could leave with the Prime Minister’s withdrawal deal, and then hopefully progress will be made on turning the political declaration into a formal agreement. That won’t be much fun either and it needs to be sorted by the end of the transition period (due to end December 31st 2020 unless it is itself extended – on this see the actual draft Withdrawal Agreement, pages 195 and 206). There are some conditions for an extension, including a contribution to the EU budget to be established by the committee. Article 126: There shall be a transition or implementation period, which shall start on the date of entry into force of this Agreement and end on 31 December 2020. 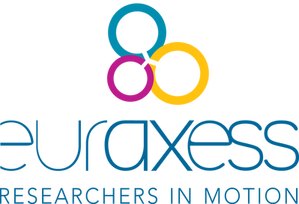 The draft EU Withdrawal Agreement means that students in UK-based organisations will be able to continue to participate in Erasmus+ exchanges and placements post-exit until the end of the current Erasmus+ programme in December 2020. In the event of ‘no deal’, the government underwrite guarantee already made(13 August 2016) still stands and successful Erasmus+ bids that are submitted and approved while the UK is still a Member State will continue beyond the point of exit. The EU has an established mechanism to allow the free flow of personal data to countries outside the EU, namely an adequacy decision. The European Commission has stated that if it deems the UK’s level of personal data protection essentially equivalent to that of the EU, it would make an adequacy decision allowing the transfer of personal data to the UK without restrictions. While we have made it clear we are ready to begin preliminary discussions on an adequacy assessment now, the European Commission has not yet indicated a timetable for this and have stated that the decision on adequacy cannot be taken until we are a third country. Of course the big argument by Brexiteers is that no deal would not be so bad. It would certainly involve “some” burden on businesses and individuals – if you look at some of the links above especially on those importing or exporting goods and services. There have been warnings about gridlock in port towns (including Poole) with a knock on impact on services), shortages of medicines and food. The government’s planning includes fridges and ferries. There are many senior Leave supporters who think that no deal “would be perfectly acceptable as long as sufficient preparations have been made”, according to the BBC’s Chris Morris. Backbench Brexiteers have sought to present a so-called “cliff edge” Brexit as an opportunity rather than a threat and dismissed criticism as Remainer scaremongering. Liz Bilney, CEO of Leave.EU, argues that a no-deal Brexit should be seen as a positive. “It is at worst, benign, at best, a fabulous opportunity for a fairer, more prosperous Britain,” she claims. David Davis even claims there could be advantages if the pound were to fall sharply in value following a no-deal Brexit. “[The Pound falling] is not a bad thing. The pound’s always been too high from the point of view of industry because of the effect of the City. So, our competitive position with vis-a-vis Europe would be dramatically better even if there are tariffs,” the former Brexit secretary told parliamentary magazine The House in a recent interview. Or there is an extension to article 50 and we don’t leave in March. Then what happens? The current government would be attempting a renegotiation of the withdrawal agreement and possibly some advance negotiation of the final trade deal based on the political declaration with a view to getting a version of the withdrawal agreement through before whatever deadline would have been agreed. As noted above, Parliament would also have had to approve regulations to amend the exit day consistently with whatever the EU had agreed on article 50. And what could that year or so be used for? A Tory leadership election – only if the PM chooses to stand down as she is now safe from challenge for a year. She might do a David Cameron and fall on her sword if “her” deal is finally voted down in favour of an extension. Then someone else could try and renegotiate, leading up to a rerun of the current process in 2020 perhaps after another referendum (unless the referendum result was remain). A Labour minority government having another go at the negotiations? As described above, following a no confidence vote in the government, the PM could resign and Jeremy Corbyn could be invited to form a minority government. He would then try and renegotiate and re-run the current process in 2020 perhaps after another referendum (again, unless the referendum result was remain). Remember that the fixed term Parliament legislation requires a 2/3rds majority for an early election. It is very unlikely that Conservative MPs will vote for that unless they think they would win a strong overall majority (and look what happened last time they tried). They will be pressing for a renegotiation. But it will happen automatically if a minority government cannot be formed, or falls, after a no- confidence vote as described above. A different deal? It is hard to ask people to vote for something that is not on the table. Canada/Norway style deals would have to be negotiated with the EU. So to get these on the table there are some steps that would need to happen first – postpone article 50, change of leadership/government/approach, attempt to negotiate a completely different deal with the EU and THEN have a referendum. The Eurovision song contest uses a similar procedure: rather than picking out the best song, juries are invited to give points to a range of artists, so that the cumulative effect of individual voting gives a final ranking of competing candidates. This procedure could be applied successfully to the UK. In the polling station people would not just receive the classical yes/no question, but a list of 30 proposals on Britain’s future relationship with the European Union. 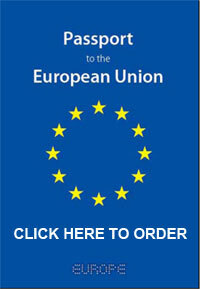 They might include ideas such as: “The status of Northern Ireland and the UK should be the same, even if that implies a harder border with the Republic of Ireland”; “Only Britain should be able to regulate who enters the country”; “Migration can only be tackled if Britain works with its European partners”; “Travelling to the EU should not require a passport.” Et cetera. In the run-up to the preferendum every voter would receive a brochure with the arguments for and against each proposal, as is already common practice in Switzerland. In the voting booth citizens would be invited to rate the proposals (to show how strongly they agree or disagree) and rank them (pick a top three). Peter Kellner in Prospect Magazine in early December offered 7 options focusing less on the possible outcome and more on the question of democratic legitimacy of the process. So while we can’t see much further than a few days into the future on this one and predictions have been hard this last year or so, here are, we think, the two most likely scenarios. We are being massively cynical here – this is based on an assumption that no-one (remainder or leaver, left or right) actually really believes that they can do a better deal than the PM has with the EU, or wants to be the person who tries and fails. Or enough Brexiteers believe that if there is a delay, there might ultimately be a vote for remain. Politicians return from the break having been thoroughly scared by the no-deal guidance and harangued by their local businesses etc, and/or the EU come up with some weasel wording on the backstop at the 11th hour, and Parliament approves the deal. Chaos continues, Labour doesn’t make up its mind and the UK leaves with no deal, leading in the short-ish term to a vote of no confidence and a general election, perhaps in 2020 if no deal turns out to be as bad as people think it might be. 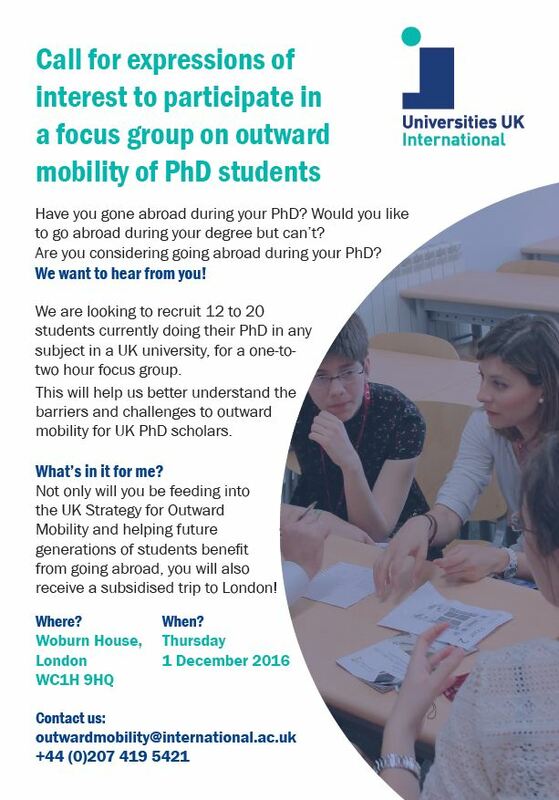 On 4th January, the news was that UUK, the Russell Group, GuildHE, Million plus and University Alliance had sent an open letter to all MPs. Dame Nancy Rothwell was on Radio 4. Professor Janet Beer wrote in the Guardian. We have just weeks for the UK government and parliament to find a way to avoid a no-deal scenario. Without this, it is no exaggeration to suggest that this would be an academic, cultural and scientific setback from which it would take our universities and our country decades to recover. But the journalist and educationalist Toby Young, who says he backs a “clean Brexit”, dismissed the warning as “the usual ultra-Remainer hysteria”, accusing vice-chancellors of “fear-mongering”. On average, this data shows a 3% decrease in enrolment, which is the first time a decrease in the overall number of EU students starting courses at Russell Group universities has been reported since 2012-13, when tuition fees increased. And while it’s important to note that this is aggregate data and growth will vary between institution and level of study, it indicates a worrying downturn in appetite from the EU to study in the UK – and will be a concern for the sector. When we performed this data collection exercise across Russell Group universities last year, we saw marginal growth of 1% in EU enrolment between 2016-17 and 2017-18. Before that, HESA data shows that growth in the number of first year EU students at Russell Group universities grew by 5%, 4%, 4% and 7% in each consecutive year between 2012-13 and 2016-17 (latest available data). For us, what was striking about the data on enrolments this year was the decrease seen at postgraduate level: while there was a marginal increase of 1% at the undergraduate level, there was a 5% drop in the number of EU postgraduate taught students and a 9% decrease in the number of EU postgraduate research students. The 9% decline in postgraduate research students enrolling at Russell Group universities this year follows a 9% drop reported by our universities in 2017-18. This means there has been a significant decrease in EU postgraduate research students enrolling on courses at Russell Group universities since the referendum. A predicted fall in EU student numbers and a potential loss of research funding due to a no-deal Brexit could hit universities’ finances. It is understood some institutions could be forced to seek a government bailout to stay open. …. 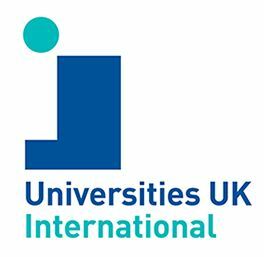 Nick Hillman, director of the Higher Education Policy Institute (Hepi) think tank, said he was concerned about the financial future of the university sector because of the negative impact of Brexit, as well as a fall in the number of 18-year-olds and the government’s review into tuition fees. “A no-deal Brexit would mean even more upheaval than other forms of Brexit for the sector,” he said. Analysis for the think tank has predicted a 57 per cent drop-off in incoming EU students. It is easy to be dragged by current uncertainties into taking a short term view of all of this. But assuming at some point we stop going round in circles on Brexit, what might a future deal with the EU look like for research? Whether there is a deal or no deal by March, eventually there will have to be at least an attempt to form a future relationship of some sort on research. We’ve gone taken the circular analogy a bit further back in time to look forward to what might happen next. A possible solution for this dilemma was mooted by the League of European Research Universities and picked up more explicitly by Pascal Lamy’s High Level Group, which recommended in its report that international cooperation be made “a trademark of EU research and innovation”. It suggested that the EU should “open up the R&I programme to association by the best and participation by all, based on reciprocal co-funding or access to co-funding in the partner country”. The official narrative is to bring strong research countries such as Canada and Australia on board for the Framework programme, but it is clear that this also opens the door for a global research power such as the UK. So instead of trying to fit the UK into one of the three categories that would give it associated access, let’s change the rules to ‘association by the best and participation by all’. Obviously, this will lead to a financial contribution from the UK to the EU budget, the use of European Commission contracts, the authority of the European Court of Justice and the decision-making power of the EU 27 concerning research policy. Suggesting a kind of “association +”, whereby strong research countries from outside the EU also have a formal say in EU policy development and decision-making processes, will probably be a bridge too far for the EU 27, but it certainly could have added value in the case of the UK. Anyway, last Friday’s agreement [the one that meant we moved on to the next phase of negotiations in autumn 2017, remember that…] clearly states: “the UK states that it may wish to participate in some Union budgetary programmes of the new MFF post-2020 as a non-Member State.” So we can be hopeful for FP9, although we must remain aware of two basic premises of the negations: no cherry picking and no deal on anything if no deal on everything. So maybe there is scope for a special deal, one that isn’t just special for the UK but also for Canada and Australia and others too? The end of the article provokes a wry smile, in the light of current news, though: Surely, UK vice-chancellors, with the explicit support of their continental colleagues, must increase the pressure in the following days, weeks and months to reach an acceptable Brexit deal by autumn 2018. After all, they are one of the few societal forces left that can speak up and guide the country in these extremely challenging times. I guess the news stories this week suggest the sector is still working on that…. That was in November 2017. What has happened since then? The UK government needs to make clear that the default position is at least associate membership of EU R&D programmes. It must then reach agreement with the EU over the size of the UK’s financial contribution and level of influence. Researchers should be lobbying strongly on these issues, on which little progress has been made since the referendum in June 2016. Instead, science and universities minister Sam Gyimah has argued that the UK will not participate in the next EU Framework programme, dubbed Horizon Europe, “at any price”. According to the minister, the government’s position paper published in March simply outlines its views on how any future programme could be improved. … The European Parliament’s Brexit steering group believes the UK cannot be a net beneficiary from EU research funds post-Brexit, and is unwilling to give the UK a decision-making role in Horizon Europe. Coming from what is arguably the EU’s most democratically representative institution, this is bad but not irreversible news. The government needs to make a move and offer something substantial to the EU in return for the UK’s participation. An attractive financial offer could still make the UK an appealing partner in Horizon Europe. However, with the Commission proposing a €20 billion budget increase compared with Horizon 2020, the UK might need to increase its contribution accordingly. This would mean paying more to participate than it does at present—with no say on the programme’s direction, and no guarantee that it would see a return on its investment. Such a commitment would also have to compete with other post-Brexit spending priorities. Appearing in front of a committee of MPs, Patrick Vallance said the government’s desire “is to be fully associated with the European programmes going forward, that’s obviously dependent on a deal”. …EU leaders have repeatedly stressed that a withdrawal agreement must be approved before the EU and the UK can start negotiating their future relationship—to the frustration of the former science minister Sam Gyimah, who told Research Fortnight in October that he wanted to reach a deal on research and innovation at the very beginning of the Brexit negotiations. The Council agreed on a “partial general approach” to the 2021-27 programme on 30 November, with “promote scientific excellence” listed first in a set of objectives for the programme. …Another major issue to be resolved is the budget for the massive research programme. The European Commission originally proposed a budget of €83.5 billion in 2018 prices for Horizon Europe, but the Parliament is seeking €120bn. The Council’s stance has yet to be determined by finance ministers and national leaders. …The Council has also not taken a stance on the participation of non-EU countries, which it says will be part of its budget negotiations. This has added to the fears of Norwegian and Swiss researchers, who were already worried about the position adopted by the Commission on limiting access to parts of the programme, and by MEPs, who want to put greater emphasis on restrictions. Both countries can participate fully at present. Swiss participation could be limited even more, as the country is not in the European Economic Area. Martin Müller, head of Switzerland’s Brussels R&D liaison office SwissCore, says he hopes politicians do not forget that his country has close economic ties with the EU. Moedas had a working lunch meeting in Brussels on 3 December with ambassadors and other representatives from Argentina, Australia, Brazil, Canada, Japan, New Zealand, South Africa and the United States. He said on Twitter that they discussed future international cooperation in Horizon Europe, and that there was a strong commitment that the programme would be “open to the world”. 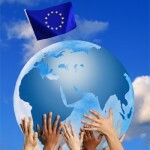 The European Commission has proposed a new way for countries outside the EU to join the programme as associate members, which would give more countries the opportunity to participate substantially. This would be based on them having qualities such as “a good capacity” in R&D, and policies to promote social wellbeing. However, the Commission has proposed caveats, such as that the countries would have to pay in what they take out. Countries that associate via the new route are also likely be excluded from parts of the programme. The European Parliament looks set to demand a further tightening of these proposed restrictions, after its research committee backed a report in November that called for association via the new route to be “based on an assessment of the benefits for the EU”. So in conclusion, something could be done, but the UK will need to ask, and pay, and the EU will, as they have through all the negotiations so far, put their own interests first. And it is not all about the UK. If more openness in research programmes suits the EU, then they will agree to it, not just for the UK but more widely, but expect conditions including contribution to budgets. Whether the UK can negotiate concessions that put it in a better position than others, or can join with other countries around the world to negotiate on these conditions for everyone’s benefit, remains to be seen. We think all that suggests that we will end up paying it…if not as part of a withdrawal deal, then as part of a future deal that seeks to sort out some of the mess. Because why would the EU not insist on that as part of a future arrangement? Our update from 21st December, covering the Immigration White Paper, grade inflation, accounting for student loans and more. The Education, Audiovisual and Culture Executive Agency is promoting the Intra-Africa Academic Mobility Scheme 2016, which closes on 15 June 2016. If you have links with universities in Africa, one of whom would be required to act as the main applicant and co-ordinator, then this call may be of interest to you. Each application should include four to six African partners (including the lead) and a technical partner from the EU. The overall objective of the programme is to promote sustainable development and ultimately contribute to poverty reduction by increasing the availability of trained and highly qualified professional manpower in Africa. The programme’s specific objective is to improve the skills and competences of students and staff through enhanced intra-African mobility. Strengthening cooperation between Higher Education Institutions (HEIs) in Africa will increase access to quality education and will encourage and enable African students to undertake postgraduate studies in the African continent. Furthermore, mobility of staff (academic and administrative) will enhance the international cooperation capacity of HEIs in Africa. (b) enable students, academics and staff to benefit linguistically, culturally and professionally from the experience gained in the context of mobility to another African country. The submission deadline for the Intra-Africa Academic Mobility Scheme is 15 June 2016 at 12.00 (noon), Central European Time. N.B. If you are considering being a partner with an African HEI for this call, you will still need to contact RKEO to ensure that internal approvals are completed. Please contact Emily Cieciura, RKEO’s Research Facilitator: EU & International or your Faculty’s Funding Development Officer well before the closing date. EU ‘Erasmus’ funding available for BU staff! “My Erasmus visit was an opportunity to profile BU’s undergraduate and postgraduate courses, enhance my own experience of teaching overseas, explore the possibility of future students and staff exchanges, and to establish research links with the partner university’s staff in the area of tourism and events.” (Erasmus visit to Dokuz Eylul University, Turkey in May 2011). Check out the Centre for Global Perspectives webpage to submit an application; the deadline is Friday 28th October.